Unfortunately, the weather in January is pretty dismal, and I was fighting off a cold, so only a handful of people showed up. But did see some old friends, and meet up with a handful of new ones, like Christian and Ryan of MotoXT (photo credit: above), a motorcycle apparel store in Lyndhurst, NJ. 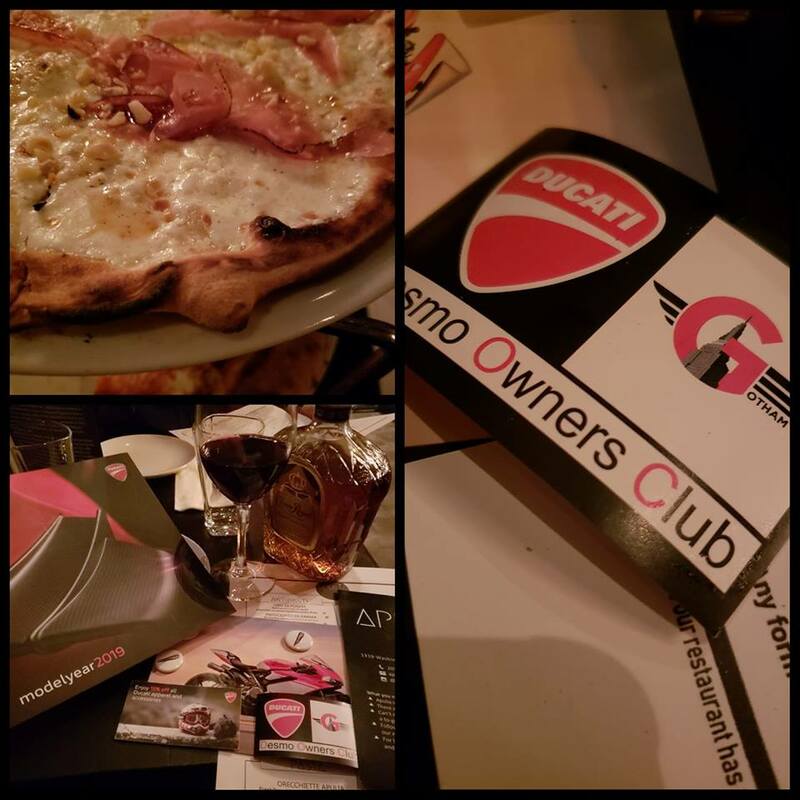 Apulia, the restaurant hosting the event is owned by Ducati fanatics, and have some pretty awesome pizza, not to mention a classy family-feel and awesomely helpful wait-staff. 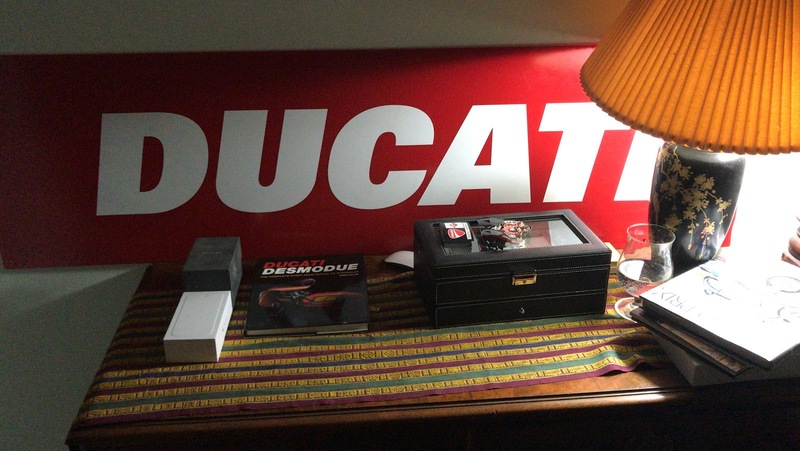 And, representing Gotham Ducati, I took home first place in trivia, taking home the DUCATI dealer sign for first place.